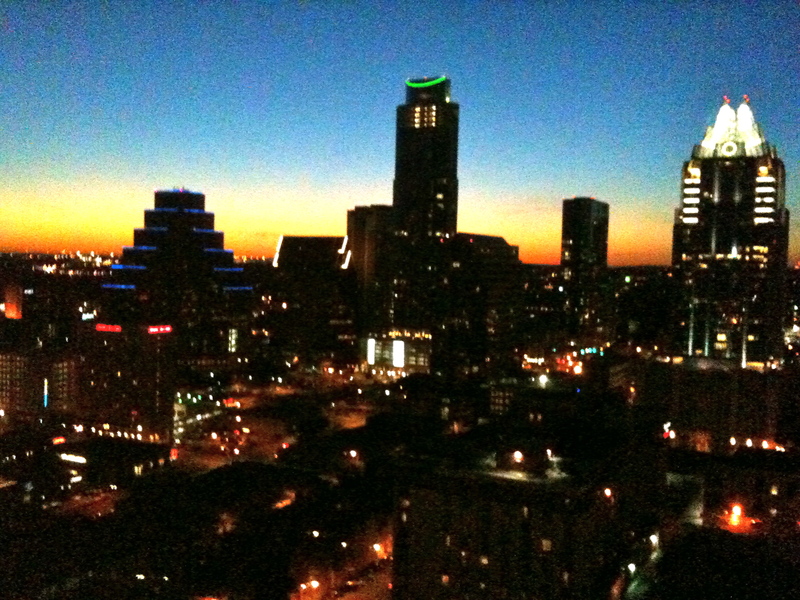 This is a view of the skyline as seen from my hotel room in Austin, Texas on one of my most recent trips home. The city has changed a lot since we first moved there in 1990, but I still love it (and miss it) nonetheless. If you haven’t been, it’s a great place to visit.